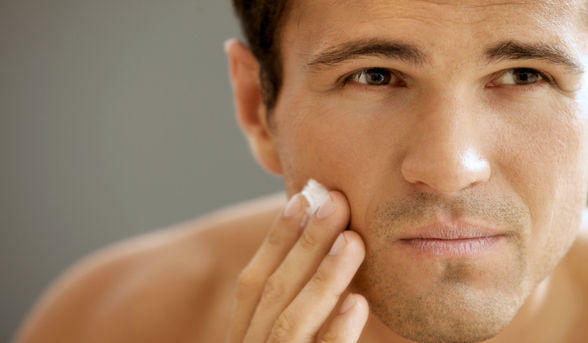 As to the former, it may contain a grain of truth – men’s skin is approximately 25% thicker than women’s. But without preventive measures, time will take its toll. And as to the latter, consider that the first impression almost anyone has of you is your appearance. No matter how much we might wish that looks don’t matter, they do. Those who are – or at least appear – healthier and better groomed tend to have greater opportunities in work, life and love. You might not be able to change what you’re born with, but you can take good care of it. There’s more to you than the surface of your skin, but that’s the first thing everyone sees, so treat it well. As you age, your skin may become drier. To combat this, moisturize daily. Moisturizing keeps skin hydrated, promoting healing and cellular regeneration while protecting against harsh weather. Consider it preventive medicine against the earliest signs of aging. Look for a moisturizer designed especially for men – contrary to popular belief, gender-specific products are formulated differently. A moisturizer which absorbs quickly is always preferable – heavier products tend to sit on the skin, looking greasy and interfering with normal perspiration. Choose a formula based on your skin type. Dry to normal skin works best with oil-based products; oily or acne-prone skin is more compatible with light, water-based moisturizers. If you’re not using a good quality moisturizer then it’s time to add this to you morning skincare routine. By the end of the day, your skin has probably accumulated a layer of crud, such as grease from your fingers, dirt and dead skin cells. Sometimes, a splash of cold water just won’t suffice. Don’t reach for a bar of soap – consider using a gentler cleanser. Cleansers remove unwanted grime from the face and neck area, without disrupting your skin’s moisture barrier. It’s said that the eyes are windows to the soul. Whether you believe that or not, the state of the skin around your eyes – how tight, clear and smooth – or how dark, puffy,tired and wrinkled it is – communicates a lot about you. Unfortunately, the skin surrounding the most expressive part of the face is highly damage-prone. The close proximity to the eyes means a general purpose moisturizer may be too heavy to use without risking irritation. Instead, use a specially formulated eye cream, designed to deliver hydration and nutrients, plumping up skin and reducing fine lines. Using an eye cream sparingly, but regularly – most are designed for twice-daily application – may also increase epidermal cell turnover, slowing the process of skin aging. Your hair says a lot about you. If you’ve already gone bald or are in the process of doing so, keeping your hair short is one of the best decisions you can make, and we’ll get to that shortly – but if you still sport your full crowning glory, make sure to keep those locks clean and well-nourished. Shampoo and conditioner are your friends. Which types and how often you apply them are entirely dependent on the products in question. Whatever you do, avoid overuse – frequent shampooing is often unnecessary and can strip your scalp of too much oil, leading to dry, flaky skin; too much conditioner can weigh hair down, making it look limp and greasy. Look for a shampoo which removes accumulated dirt and excess sebum, and a conditioner which nourishes each strand of hair, improving manageability and increasing volume. Natural formulations do away with questionable ingredients, but always read the label carefully – the word “natural” alone is meaningless unless the contents reflect the claim. Men are, by and large, hairy creatures. From the tops of our heads (excepting those with whom time has caught up) to the knuckles of our toes, follicles spring forth. The well-groomed man has it all under control. How much hair you remove from your head, face and body is up to you – the goal is to look and feel your best. There’s never been a better time to implement the best grooming routine for yourself – you have a vast range of products to choose from. For the head, consider a quality electric hair clipper. Almost all modern clippers are cordless, powered by high capacity, rechargeable lithium ion batteries that reduce weight and improving handling. They’ll shear hair down from the faintest of fuzz to over an inch in length. To keep you face looking its best, first consider your needs – are you the clean-shaven sort, or do you prefer to sport stubble or a neat beard? If the former, invest in a good razor or electric shaver. If you like things hands-on, an all-metal safety razor, partnered with a good shaving brush and high quality shaving cream or soap is the way to go. Not only are the blades far more economical than plastic cartridges, the shave is incomparably close. 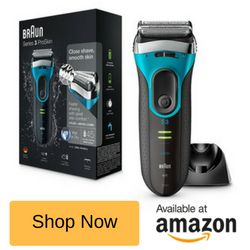 For the man who likes things high-tech (or is simply pressed for time), an electric shaver is the better choice. Today’s models provide fast, close and comfortable shaves with a minimum of effort, and many can be used wet or dry. Though a dry shave is perfectly adequate, electric shavers excel when combined with a highly lubricating gel – that extra bit of cushion on top of your skin really increases performance and comfort. If you’re bearded but like to keep things neat and trim (as you should), the simplest way is to use an electric hair trimmer. They resemble hair clippers and shavers, but may feature an exposed-blade design and click-adjustable length selector. Their smaller heads and finer teeth are designed especially for cutting tough facial hair. Though your face is what greets the world on a daily basis, it’s no less important to keep your body in tip-top condition. That means not only engaging in a regular exercise routine that includes strength training – for good health as much as it is for good looks – but keeping your body hair under control and your skin clean, soft and supple. You’re a man; you’ve got body hair. How much of it and where it grows depends on your ancestry and genetics. Regardless of quantity and location, it looks best when it’s kept tidy. 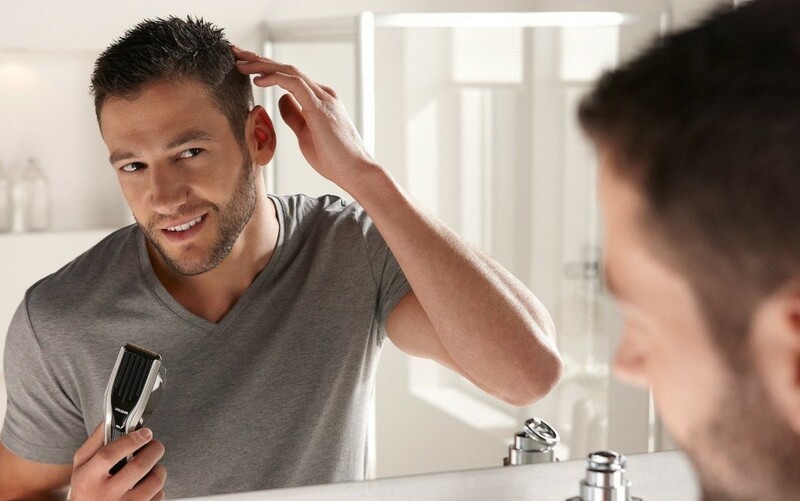 For a maximum reduction in body hair, you can shave it off – but be forewarned, it’ll grow back in quickly, and stubble on areas other than the face can be very uncomfortable. 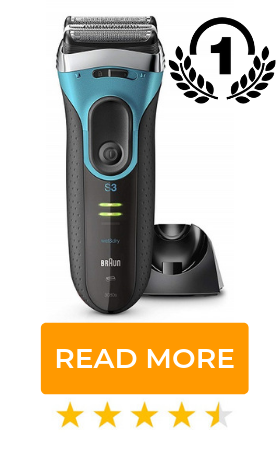 Most men find using an electric body groomer a superior choice. Much like an electric shaver or hair trimmer, groomers are handheld hair removal tools, specially designed to fit into and glide over the contours of your body. They often feature long handles for better maneuverability. Whether your job is active or sedentary, there’s nothing like coming home to – or starting your day with – a hot shower. Maybe you’ve spent all your life reaching for a bar of soap. You get wet, lather up and rinse off. The thought of using a shower gel has never crossed your mind. Shower gel, like soap, removes dirt, sweat and debris – but it can do much more. Gels are water-based – they’re not only easier than soap to rinse off, but the composition of a gel allows it to be enriched with skin nourishing ingredients. If your skin is prone to acne or eczema, consider switching to a gel – the oil-free composition and added ingredients may help. After showering, consider applying a whole body moisturizer. The constant friction of clothing and the dry air of climate controlled environments can wreak havoc. Just like facial moisturizers, those designed for the body help to lock in moisture, protecting and rejuvenating the skin. Unless otherwise specified on the product, after showering, while your skin is still damp, is a great time to moisturize the body. There’s some very effective body moisturizers to choose, from the likes of L’Oreal, ManCave and Nivea – all of which are fragranced and designed specifically for men! There’s nothing like a great smile – warm, welcoming and full of life – but bad teeth can ruin the intended effect in an instant. Not only does maintaining your oral health make you look good, it’s an important part of keeping your whole body healthy. Gum disease has been implicated in cardiovascular problems, and without teeth, chewing food is a complicated task! 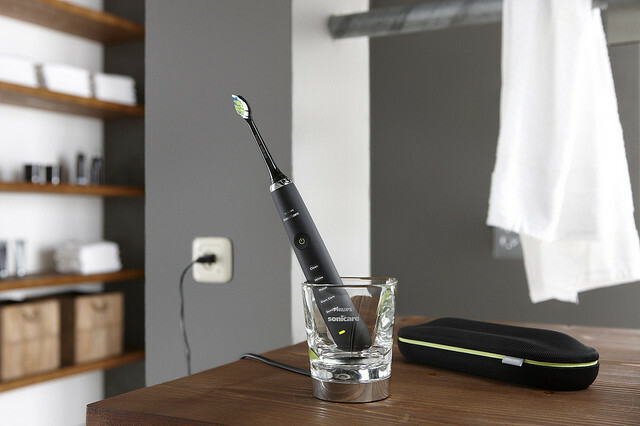 Consider a quality electric toothbrush an investment in your future. Electric toothbrushes remove significantly more plaque than their manual counterparts, and today’s models come with a whole slew of features to make brushing easier and more enjoyable. Brush every day, twice daily, for the dentist-recommended time of two minutes per brushing. A good toothpaste makes your teeth sparkle by helping the toothbrush remove plaque and food debris. Whether you opt for all-natural or fluoridated, there’s a wide range of pastes from which to choose. Just make sure you like the taste! The crowning touch to a clean, healthy mouth is a good mouthwash. Mouthwashes have a two-fold purpose: They ameliorate harmful and odour-causing bacteria, and keep breath fresh. As with toothpastes, ingredients and formulations vary. Some mouthwashes contain artificial flavours; others may utilize essential oils, like peppermint or tea tree oil. Something to note is that a number of dentists advise reducing or eliminating the use of alcohol-based washes, noting that they may increase the risk of oral cancer. You might wish to opt for an alcohol-free formula. Whatever your choice, rinse well with mouthwash after every time you brush. Use a cleanser, instead of soap, on your face and neck. Apply an eye cream twice daily. 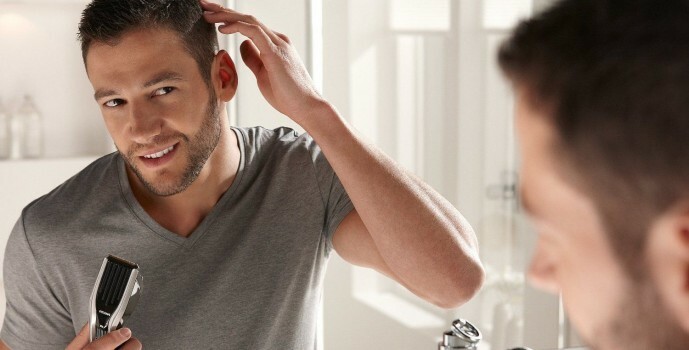 Invest in a good hair clipper, beard trimmer, electric shaver or razor, depending on your grooming needs. Keep your body hair under control. Cleanse yourself with a shower gel and apply body moisturizer to damp skin. Get a quality electric toothbrush, toothpaste and mouthwash. Use them all at least twice daily. Following these simple steps may not help you live longer, but you’ll look – and feel – a whole lot better!